One of my favorite parts about summer is the abundance of amazing fruits and vegetables available locally. I absolutely love using fruits in savory salad preparations (exhibit a. and exhibit b.). And I think this salad might be the best one yet! Watermelon in salads is so lovely, but I’m feeling like the watermelon, feta, mint situation is a little played out. This recipe really hits all the marks in terms of flavor. The black lava salt from Mountain Rose Herbs adds a depth and complexity of flavor while the jalapeño adds some spice and the mint keeps it fresh. 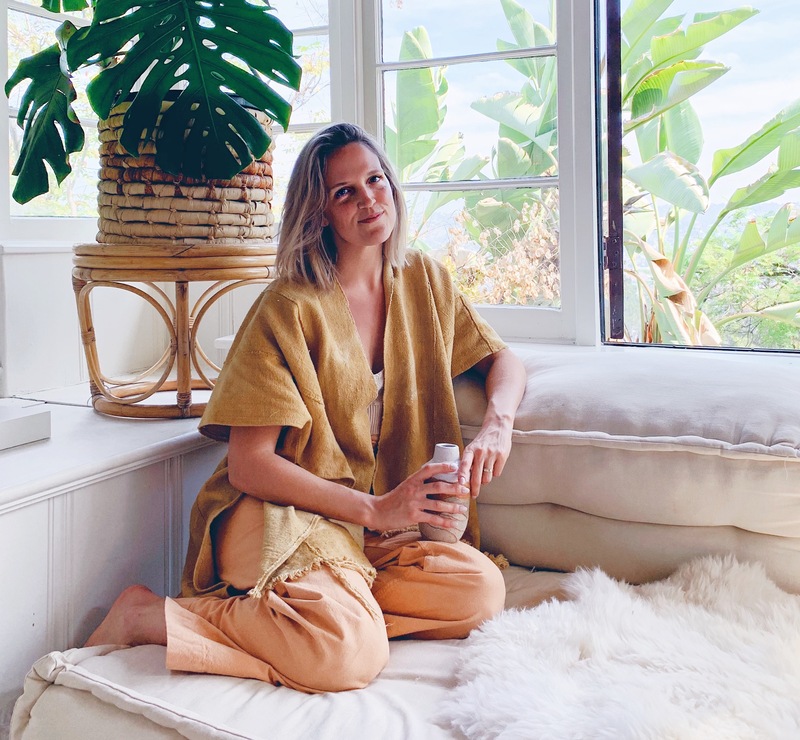 MRH is one of my favorite resources for spices, adaptogens, oils and more. They have such a wide variety of ingredients, and they have high standards for their sourcing process, so I always know I can trust that whatever I get is the best quality. They sell most items in bulk quantities, so once I receive whatever I’ve ordered I transfer the herbs/adaptogens/etc. into airtight jars and keep them in a drawer away from light – a pantry would be great, too. 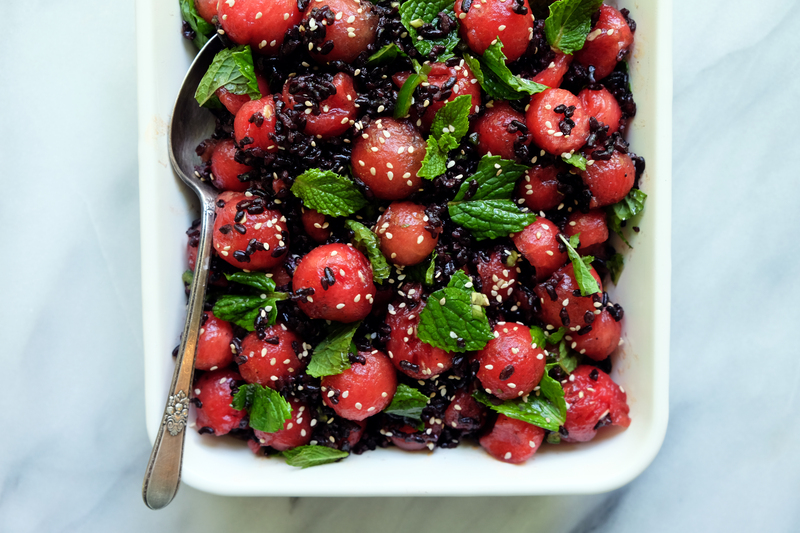 The black rice absorbs the dressing and watermelon juice rather nicely. Bonus: black rice is nutritionally superior to other varieties of rice, offering 8.5g protein, 3.5g iron and 4.9g fiber per 100g serving. You want to be sure you don’t overcook the rice here. If you’ve never made black rice, you’ll want to use the ratio of 1 cup rice : 1 1/2 cups water. Bring well-rinsed rice and water to a boil. Reduce heat to low, cover and cook for 25 minutes. Remove from heat and fluff with a fork. 1.) 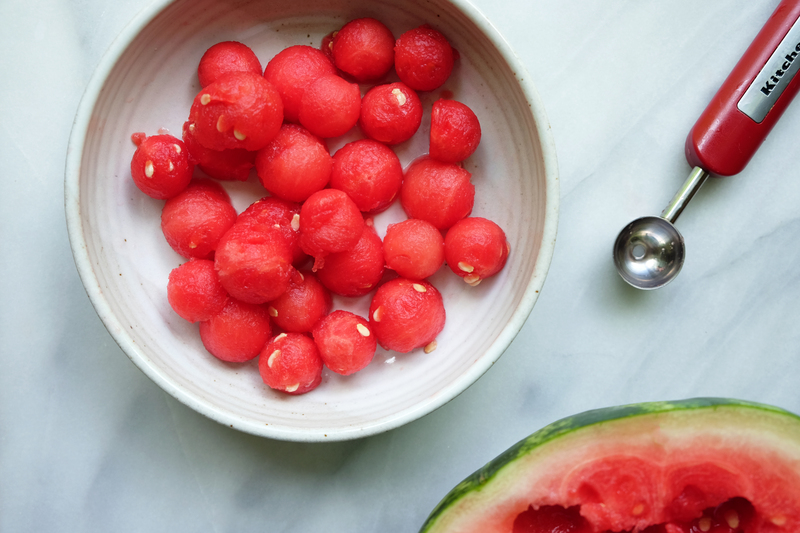 Using a melon baller, ball the watermelon. Remove as many white seeds as you can. Place in large mixing bowl. Add black lava salt and gently toss to coat. Set aside. 2.) Prep the jalapeño and mint. Whisk together the lime juice and sesame oil in a small bowl. 3.) 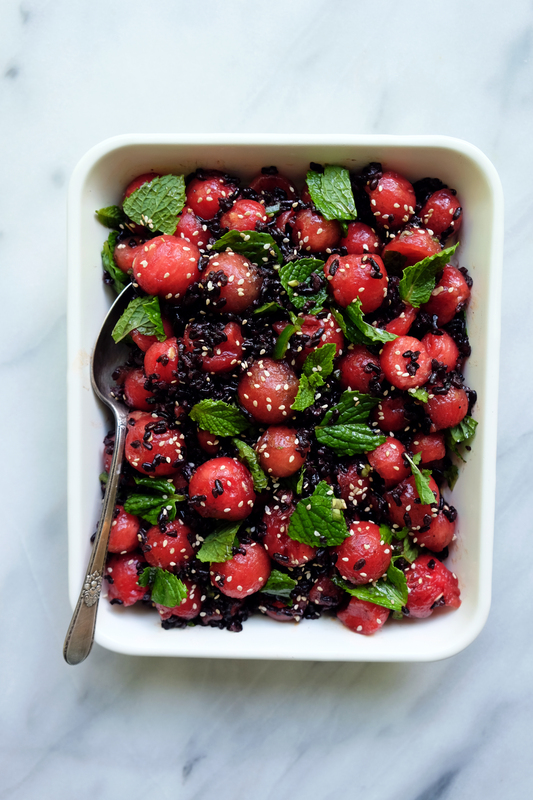 In a serving bowl or tray, gently toss together the salted watermelon, black rice, jalapeño and mint as you slowly drizzle in the sesame-lime dressing. 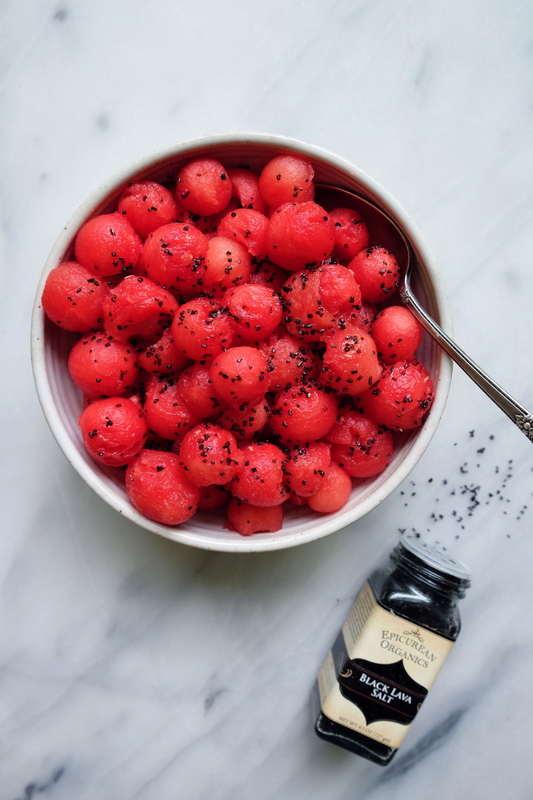 Garnish with sesame seeds, and enjoy!